Locavore tours are about remembering the past, nurturing the present and shaping the future. We will introduce you to a great place to live, visit, work and play! It’s a sensual adventure! Whether you are new to the city or grew up on the East side, you will experience this place in an eye-opening way. Plan for a tour of about 90 minutes The best times to schedule your tour are Friday, Saturday or Monday in the morning at 10 or the afternoon at 1 pm. Your private tour is priced as a group, starting at $100 for up to three people, $150 for up to 5 people, $200 for up to 8 people, $250 for 12 and $300 for 16. Connect with history and community on this unique tour of the awe-inspiring Mississippi River gorge in downtown Saint Paul. Enjoy the view—-from the top of the bluff to the water’s edge—-and experience peacefulness and healing through the ancient Japanese practice of “forest bathing.” Book Now! 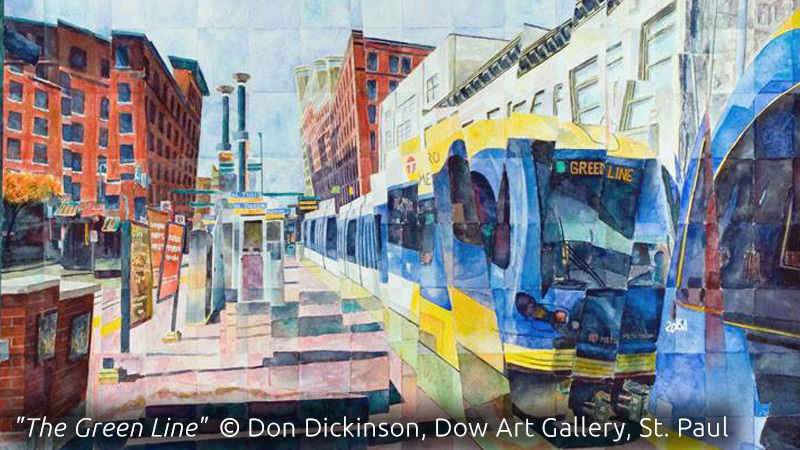 The power of art has transformed the abandoned warehouse district into a lively neighborhood. 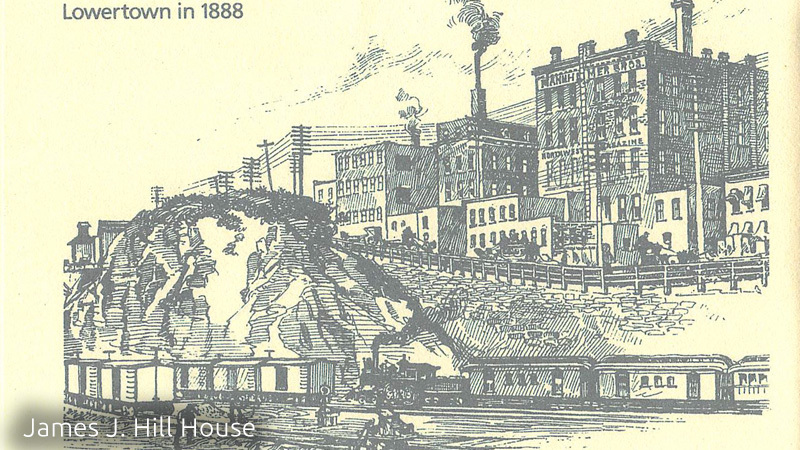 The 19th century warehouses, many designed by architects during the railroad boom, now house innovative businesses in shared spaces. Jane Jacobs once wrote, “New ideas need old buildings.” Lowertown residents have reclaimed an industrial brownfield nearby and continue to restore it as a nature sanctuary along the river. You will learn the history of our thriving local food movement and the 1853 St. Paul Farmers Market. Book Now! A city is a living organism, constantly changing and adapting. 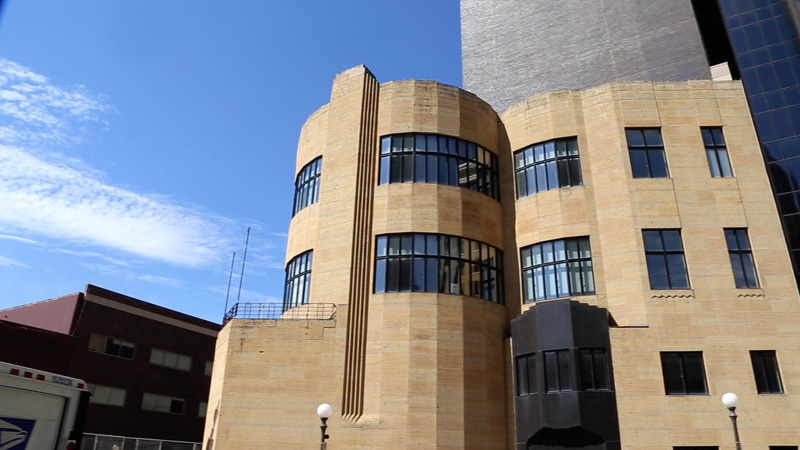 This is our original tour, since 2015, which explores the influence of modernism in St. Paul’s urban renewal efforts during the 1920s and 30s. The Art Deco style originated in Paris, where some Saint Paul artists and writers were learning new ways to express their ideas during that period. F. Scott Fitzgerald, Saint Paul’s native son, called it the Jazz Age and took credit for naming it. We will look at 13 Art Deco structures. Book Now! 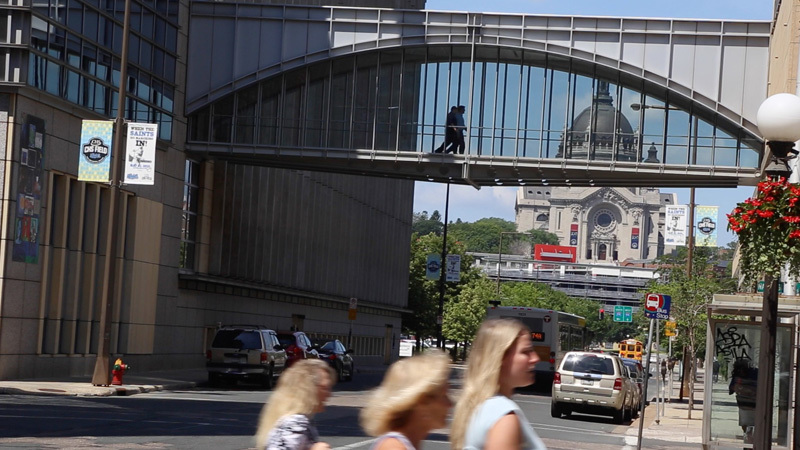 Pedestrians left the streets for the year-round comfort of the skyway beginning in 1967, although you will see the oldest skyway built in 1931. Saint Paul’s skyway system is the second largest in the world. As we walk alongside and through downtown buildings, we’ll look at Mid-Century Modern architecture, consider the benefits of aging in place, and share our favorite skyway places to eat. Book Now!